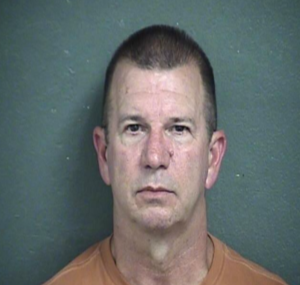 KANSAS CITY, Mo.— A Kansas man was indicted by a federal grand jury Tuesday for traveling to Kansas City to meet with who he thought was a teenage prostitute, but was actually an undercover officer, according to the United State’s Attorney’s Office. Fifty-five-year-old Bradley Voth of Buhler was charged with one count of traveling across state lines with the intent to engage in illicit conduct with a minor. The investigation into Voth’s activities began in June when an undercover U.S. Department of Health and Human Services employee was monitoring public messages on a website where people are known to discuss prostitution. The undercover employee gave Voth a phone number for an undercover FBI agent posing as a 16-year-old girl. Voth allegedly contacted the agent. The FBI agent told Voth the teen was staying in Kansas City with her 13-year-old sister. Court records say Voth then asked for the 13-year-old’s phone number and pictures of both girls. Voth allegedly agreed to meet with the teens in Kansas City for sexual activity in exchange for $140. When Voth arrived at a KC coffee shop to meet the two girls, he was arrested. The jury’s indictment replaces a criminal complaint from July on the same charge.